Selecting the perfect party tent is no easy matter. There are many types, sizes, and styles to choose from. However, there is to need to go into the selection process blind. While there are many variants, this guide will assist you in narrowing it down. 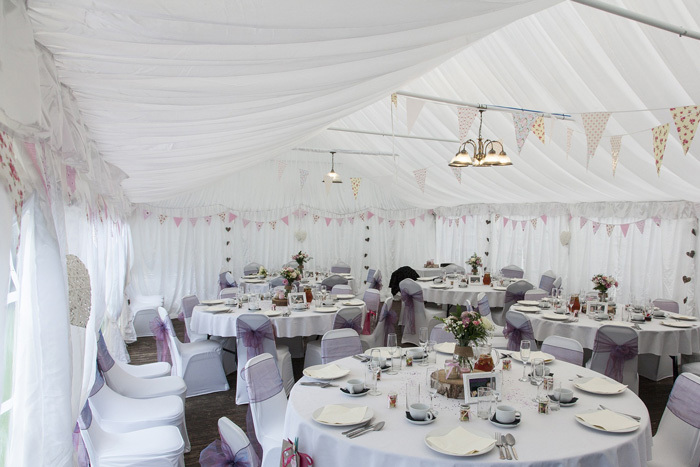 Each section will address different things to consider on your way to picking the perfect party tent. Party tents are the most broadly defined category of tents and canopies. Almost any shelter you can throw a party under is technically a party tent, after all. However, within that inclusive term, there are four primary types. They are pop up and instant canopies, pole tents, frame tents, and tension tents. Each have their pros and cons to consider before moving on to the next step. Party tents are the most broadly defined category of tents and canopies. Designed with an emphasis on convenience, these are the lightest and least expensive type of party shelter. Using accordion-style frames, pop-up canopies can be set up and taken down in just a few minutes without the use of any tools. Some even come with storage bags for easy and compact transportation! Without any poles in the center, they are open and if you need a focal point, there is no issue. Light-weight �fair weather� tents are designed for ease of mobility and use for shade. However, they are not ideal for every situation. These typically do not come any larger than 20' x 20', making them incompatible with larger events where more space is needed. Another attribute to consider is the construction. These light-weight models can not stand up to the same wear and tear a heavier tent or canopy could. This makes them typically ill-suited for long term use. 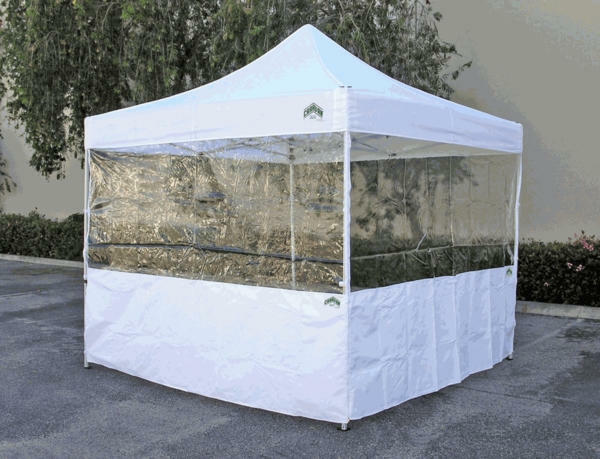 Light-weight �fair weather� tents are designed for ease of mobility and use for shade. On the other hand, there are the more durable, heavy-duty pop up canopies. An example of these would be the Caravan Magnum line. They are more durable thanks to their very robust and heavy frame. These waterproof enclosures require additional set up time but can withstand more prolonged use. If you're looking for more detailed information about pop up canopies, check out our Pop Up Canopy Buying Guide, where you can find more in-depth advice and specifics. Coming in an extensive range of sizes, from as small as 10 by 10 to the massive 100 by 310, pole tents use poles to support their weight. The tension created by stakes, or other tie-downs, keep the tent upright and stable. With poles located around the perimeter as well as in the center, this light and easy to use tent is a cost-effective way to cover a larger area. Another draw of this type is the versatility and the variety of colors in order to satisfy any need for customization. With poles located around the perimeter as well as in the center, this light and easy to use tent is a cost-effective way to cover a larger area. There are, however, a few downsides to using a pole tent. The biggest one has to do with placement. Because this type of shelter relies on tension to keep the top from collapsing, you've got very little flexibility when it comes to staking. You need to allow, on average, an extra six feet of space on all sides of your tent to accommodate the required staking. That means that you can't install them right up against a building, for example. And, unless you don't mind making a bunch of holes in the floor, they're definitely not suitable for use indoors. 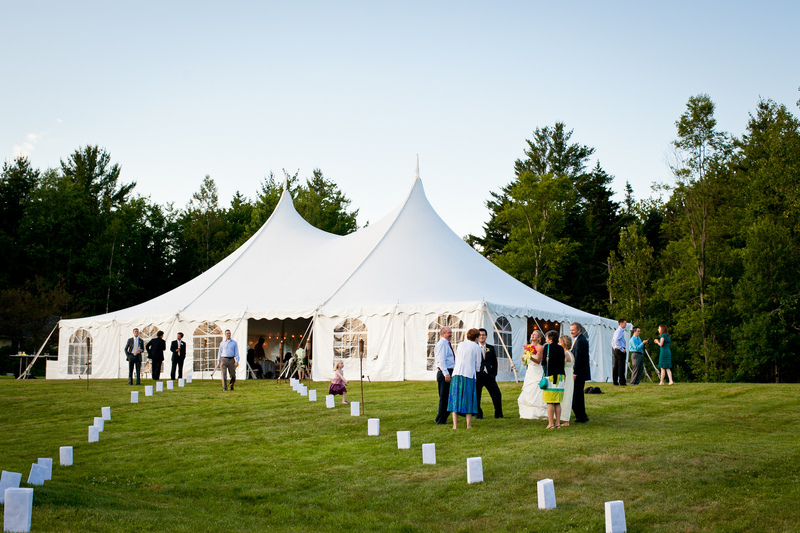 Another thing to keep in mind when deciding if this is the right type of party tent for you is the center pole. The pole can interfere with visibility, as well as making it hard to incorporate larger objects into the layout. If you're hosting an event where they might be an issue, a pole tent may not be the best choice for you. Rather than rely on the tension from stakes, frame tents use a tubular metal structure to support their canopies. This allows them to work without the support of center poles and gives them much more flexibility in their placement: you can use them right next to buildings or even indoors, also work well as semi-permanent structures. All of this flexibility comes at a price, however. Frame tents are usually significantly more expensive than both pole and tension shelters. They are considerably heavier and require a lot more work to set up; a frame tent can easily take four times longer to put up than a comparably-sized pole model. Using very specialized hardware, if you damage or lose a single component, you will have to get a replacement from the manufacturer, which will render it useless in the meantime. 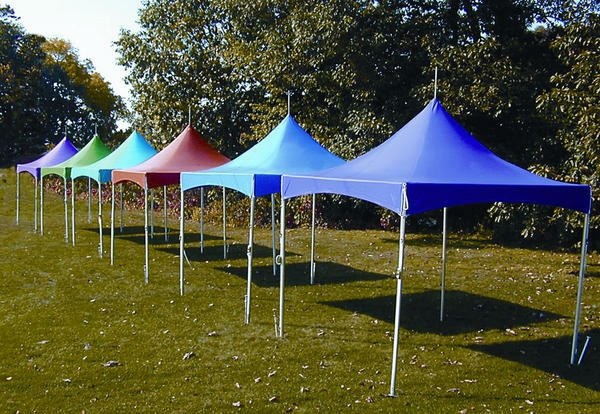 Frame tents are usually significantly more expensive than both pole and tension shelters. Even the available size range is affected by their design, since there's a limit to how wide you can make a structure without adding internal supports. While the width is limited to a forty foot maximum, however, the length is not. They also typically have the same range of colors as other party tents so there is still a good chance you will be able to find one that works for you. If your practical needs are the priority and you're willing to deal with the additional costs and work involved with using one, a frame tent might be a good option. Tension tents are very similar to traditional pole tents: they use perimeter and center poles for support, rely on tension from tie-downs to keep the roof in place, sharing the simple portability and installation of standard pole-based structures. In fact, the only real structural difference between tension and other pole canopies is the size of their peaks. Tension canopies have much taller peaks than other shelters - they're often referred to as "high peak" tents - and offer a more dramatic and elegant look. You'll find them at many formal and business events. Tension canopies have much taller peaks than other shelters - they're often referred to as "high peak" tents - and offer a more dramatic and elegant look. This striking design also has some additional practical benefits. The tall, aerodynamic peaks actually improve wind resistance and drainage, allowing tension tents to withstand harsh weather better than other varieties of shelter. If you're looking for something you can leave standing for long periods, one of these may be the way to go. Some models are even suitable for use as permanent structures. Of course, because tension tents are a form of pole tent, they have the same kind of limitations. You have to leave a fair amount of clearance for staking and you can't use them right next to buildings or indoors. And even though these canopies may have a spacious, open feel, they still have center poles that can interfere with visibility and certain layouts. Due to the nature of their construction, tension canopies are more expensive than regular pole tents. 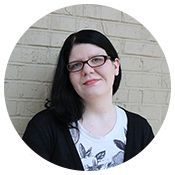 They're not usually as expensive as frame structures, but prices can be fairly close depending on the manufacturer and model. Once again, you'll need to decide if the structural and aesthetic benefits are worth the extra cost. When you're selecting the right tent for your event, size does matter. How big should your tent be? It really depends on what type of seating and other extras you are going to have. For example, if your party is going to be relatively simple without a lot of extra furnishing, give each guest 10 to 12 square feet of space. On the other hand, if your party needs a more complicated set-up, it can be a bit more difficult to know how much space is enough. Common layouts for party tents include the auditorium-style seating, events with meals, events with extra furnishings, and events that have caters, DJs, or bands. All of these will increase the size of tent you require. For events with DJ, band, caterer, or extra furnishings, such as a dance floor or buffet table, you will need to speak with them about how much space they will require before proceeding. No one wants to run out of room during the party. Common layouts for party tents include the auditorium-style seating, events with meals, events with extra furnishings, and events that have caters, DJs, or bands. On the other hand, for an event with meals, you have to consider the size of the tables and the number of people. Allowing 12 square feet per person when using round tables, or 10 when using rectangular ones, will typically give you an indication on how much space is required. However, dinners with table-side service are going to need additional space in order to ensure that the servers will have enough room to work. Auditorium-style seating works for speaking engagements, a wedding ceremony, or many other situations. If that is the type of layout you are going to have, it's a good idea to allow between 5 and 6 square feet per chair. That will change, though, if you're using bulkier chairs or have guest needing more space to maneuver. No matter what type of layout you need, it is important to consider it when selecting the tent to house your event. Don't run out of space because of poor planning. Make sure your guests have plenty of room to enjoy your party. Party tents are made with different materials. But the two most important parts of the party tent is the frame and the top. But what are your options? In both, there are really only two main choices but knowing about the varying options is important. Party tents are made with different materials. Regardless of which type of shelter you choose, you've really only got two options when it comes to your party tent's supporting structure: aluminum and steel. The most significant differences between these two materials have to do with strength and weight. Aluminum is the lighter option but also more likely to bend than its steel counterparts. On the other hand, steel is significantly heavier, making it sturdier but less portable. Steel also rusts when it corrodes, though many steel frames do come treated to prevent rust; meanwhile, aluminum forms aluminum oxide, a hard substance that actually helps prevent further corrosion. Cost is also a factor to consider when contemplating between steel and aluminum. Party tents made with aluminum are sometimes more expensive than steel ones, but the large range of types and gauges of steel mean that there's no true rule. Prices vary quite a bit from manufacturer to manufacturer, so you'll just have to see what is available in your price range. Tops are more often dictated by which type of tent you choose. In some instances, you may not have any choice about the material used to construct your top. However, there are exceptions and it remains important to know. The main two options are polyester and vinyl tops. Polyester is the cheaper material used to make party canopy tops, most commonly used with pop up tents. 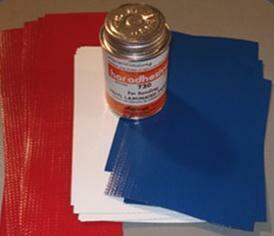 Vinyl tops, on the other hand, are usually used for pole, tension, or frame tents. Both types are durable and water-resistant, but many manufacturers prefer vinyl because they provide better UV protection and weather resistance than standard polyester tops. They're also very easy to clean, most are certified flame resistant, but are typically more expensive than polyester. 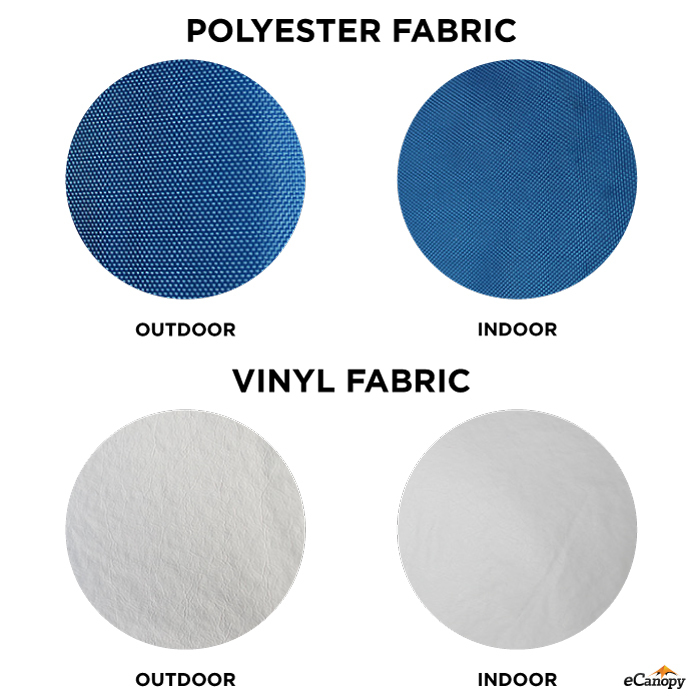 Another thing to consider with vinyl versus polyester is to know that polyester is rated in denier. Denier is the measurement of the fabric's thickness. It's determined by measuring the weight of 9,000 meters of fabric in grams. That is to say: if 9,000 meters of a particular fiber weighs 440g, then its denier would be 440. That's why a 350 denier polyester tent top would be stronger than a 250 denier one. But if you're comparing two different fabrics, a higher denier may not indicate higher strength due to every fabric having its own strength to weight ratio. So now you've picked out the basic tent. But what about the extras? How do you secure it? What about anchoring? There are a variety of recommended accessories to go with the different types of party tents and canopies. 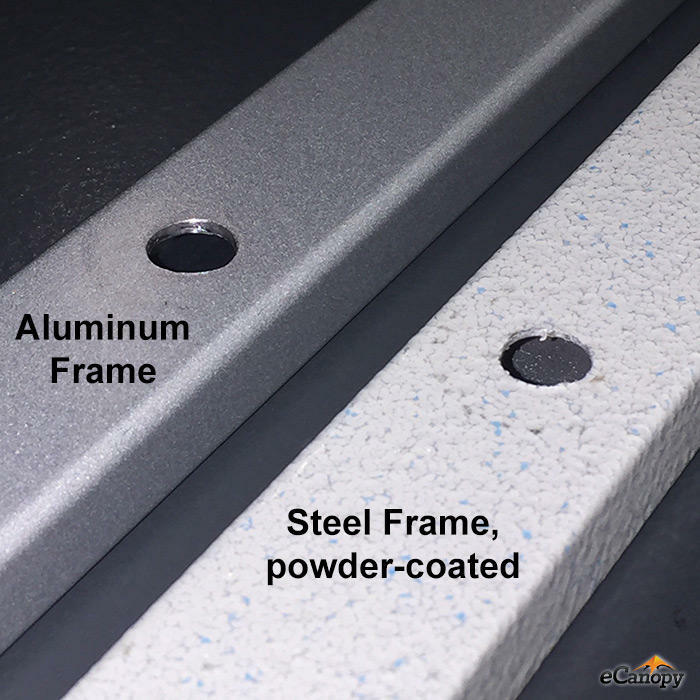 They range from structural to just making your enclosure more convenient to use. Some of the most common types of accessories are sidewalls, stakes and anchors, repair kits and cleaners, and storage bags. There are a variety of recommended accessories to go with the different types of party tents and canopies. Sidewalls allow you to enclose part or all of your canopy. They provide an easy way to give your shelter privacy, a more formal appearance for events like weddings, and additional weather protection. This is recommended if anyone will be using sensitive equipment at your event. However, the type of sidewalls you'll be able to get will depend on the kind of tent that interests you. If you're planning to buy a pole or frame tent, your options may include opaque, clear, mesh, as well as some that feature faux windows. If you intend to invest in a pop up, you'll be able to get partial sidewalls in addition to the styles listed above. Keep in mind, though, that offerings vary from manufacturer to manufacturer, so your tent choices may be limited if you want a specific type of sidewall. Most party tents come with the equipment required to anchor them. But there are a variety of ways to root them, depending on the type of tent or canopy. There may also be times when your installation requires stronger anchoring than can be provided by the stabilizers in your tent package. So let's go over the different choices. Stakes are usually the stabilizers that come with your party tent. Traditionally found in sets, these are extremely easy to use and suitable for most situations. Anchors are another way to secure your party tent. They are a good choice if you're going to be using your tent in areas prone to high winds. However, neither stakes or anchors are good for use at the beach due to their inability to lock into the sand. Weight bags are exactly what they sound like. They rely on additional weight rather than a physical connection to the ground to ensure your shelter's stability, making them an appropriate choice for almost any location, including the beach. Using them is as simple as attaching them to your canopy's legs and filling them with sand or rocks. Ratchet sets are another option. They are used in place of your party tent's ropes. They're much easier to work with than ropes and can also reduce the number of wrinkles in your canopy's top because they provide greater tension during set up. While some are tent or canopy type specific, the type of anchoring can make the decision on what is right for you even easier. Even well-made tent tops and sidewalls can get dirty or small tears, but that doesn't mean you have to replace them immediately. 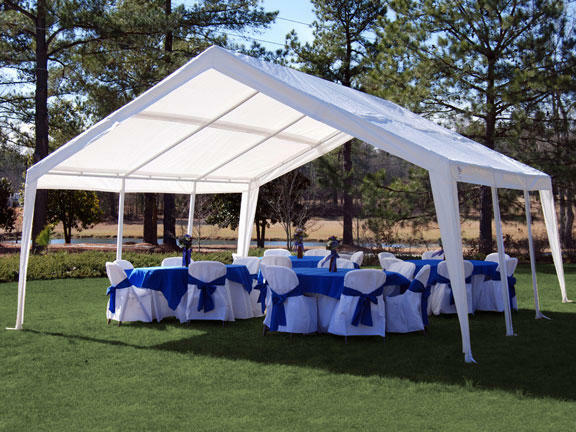 Instead, it is important to follow the manufacturer instructions about maintenance to keep your party tent up to another party. Repair kits, also referred to as patch or splice kits, allow you to fix minor damage easily. They typically include several pieces of tent material, an adhesive, and instructions. An important thing to consider when purchasing this type of kit is the brand. If you buy one from a manufacturer other than the one that made your shelter, there's a good chance the included patch material won't match your top, even if it is listed as the same color. Your tent's maintenance needs are going to vary depending on its construction materials, but almost all tops and sidewalls require some regular cleaning. It's not necessary to use products made specifically for tents, but it's very important that you follow your manufacturer's recommendations and use only cleaners appropriate for your tent's materials. Some canopy companies even offer their own lines of cleaners and protectants. Keep your canopy clean and repaired so you can use it again and again without worry! Many party canopies come with storage bags, but if the model you're interested in doesn't, you may want to consider investing in one. These make transporting your shelter much more convenient and it is easier to keep the parts safe when not in use. There are quite a few kinds, including soft models with ties and hard-shelled models with wheels. Not all storage will fit all canopies or tents, so make sure that you look for a bag specifically designed for your type and size of shelter. Now you're equipped with almost everything you need to make an informed choice about the type of party tent you need. But is anything else required? What else could there be? Well, you will want to know a few more things about where you're going to set up your party tent and what to expect once it's up! Permits, flame certificates, weather plans, and the difference between waterproof versus water-resistant are all things to consider. Permits, flame certificates, weather plans, and the difference between waterproof versus water-resistant are all things to consider. Many towns and cities require you to get a permit before installing a party tent, particularly if you've got a larger model. This is mainly to ensure that your event meets fire safety standards. All you'll usually need is a permit issued by your local fire department, but some municipalities have additional requirements. And that's where the flame certificate comes in! These document that a tent's fabric is flame-resistant and meets certain fire codes. Setting a permit to set up your tent can be impossible without a flame certificate. Even if you're planning to use your tent for an indoor function, such as a business conference, the event organizer may require certification before allowing you to participate. The difference between water-resistant and waterproof is important when it comes to party tents and canopies. Waterproof means your canopy or tent is completely impervious to water, usually as a result of receiving a special treatment or coating. Water-resistant, on the other hand, means it is capable of handling a lot of exposure to moisture, but still vulnerable to water penetration and related damage. The type of top a shelter has largely depends on its style. Instant canopies, for example, tend to have water-resistant tops while pole, frame, and tension tents often have waterproof ones. You might wonder why that is. Most waterproof materials simply can't handle rapid installation and frequent use as well as water-resistant materials. So for pop up tents, which are constantly being put up and taken down, the additional protection simply isn't worth the potential reduction in durability. For the others, wear becomes less of an issue because these types of shelters are also more likely to be left standing for longer periods, making moisture resistance more important. So now that you have all this information, the tent selecting process should seem much less daunting than when we started. Regardless of whether it's for personal or business use, a party tent is a major investment. So now you can make the correct choice for the party you want. Now all that's left is to have that rad party!